Its a very big deal to be considered a top Online Dating Expert. We have evaluated many of the Industry's leading Internet Dating Experts and present the Best Online Dating Expert category. These are the very best Online Dating Experts in the Industry for 2019! About Me :Dating Coach helping men gain confidence and naturally attract women of their desire. Bio :I wanted the power to be my most attractive self and get the women I wanted. For the next 2 years I went out non stop. Sometimes I went out 2-3 weeks in row approaching women, learning how to flirt, discovering ways to get over my social fears. I finally grew to become the person I always wanted to be: ME. By this time my fantasies became reality. I was dating models, older women, younger women, all types of women. I could attract almost any woman I came in contact with, yet it wasn’t with lies or games. Instead, it was by being my most attractive and confident self. At the same time my social skills were so strong that it even helped me in my job and in making new, quality friends. The world was my oyster. So, I did what any person would do in this situation: I started a podcast. About Me :Matthew Hussey, speaker, New York Times Bestselling author, expert love resident on The Today Show, and dating columnist for Cosmopolitan Magazine. 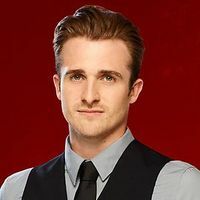 Matthew Hussey, speaker, New York Times Bestselling author, expert love resident on The Today Show, and dating columnist for Cosmopolitan Magazine. 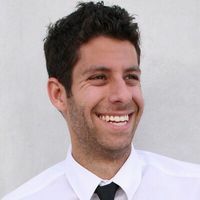 Now through his online programmes, viral internet broadcasts, sell-out seminars, NYT Bestselling book, and his roster of private clients, he has been able to pass on his insights and strategies to countless people. 50,000 women have attended his live events and he has reached over 10 million online. Hussey is the new international guru of the dating and relationship-coaching scene. - See more at: http://www.gettheguy.co.uk/about-us/#sthash.4MBRkbtw.dpuMatthew Hussey, speaker, New York Times Bestselling author, expert love resident on The Today Show, and dating columnist for Cosmopolitan Magazine. 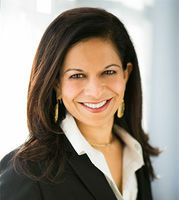 About Me :Bela Gandhi is the Founder and President of the Smart Dating Academy, a full service personal consulting firm that provides busy, successful professionals with dating coaching, image consulting, personal shopping, professional photography and online dating consulting. She is the head dating coach for Smart Dating - and has an uncanny sixth sense about people, and what they need. Bio :Her intuition has been responsible for several marriages (and children)! The Huffington Post calls her "The Fairy Godmother of Dating!" Bela has been connecting people all of her life. She is proud to have been one of a select group of coaches/matchmakers nationwide to be selected for a prestigious training program given by Rachel Greenwald, a NY Times Best Selling Author. Bela also has extensive personal career coaching experience through her affiliation and board membership with The Cara Program, a Chicago non-profit which has helped over 2,500 at-risk people turn their lives around. Bela also serves on the Advisory Board of the International Academy of Design and Technology's (IADT) Fashion Design Program. Prior to founding the Smart Dating Academy, Bela worked for 12 years as a top global executive for Akzo Nobel, a large multinational corporation. 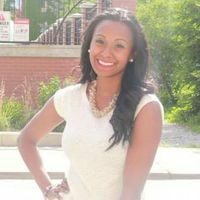 Bela has a finance degree from The University of Illinois at Urbana-Champaign, and is happily married with 2 children. About Me :It would be my pleasure to give you the same guidance I�ve given others, and show you how you can meet and attract a quality, relationship-ready partner. If that�s what you�re looking for of course! Bio :My approach is practical and direct, comfortable and open. I work hard with my clients to get to the root of what’s holding them back in any given scenario. With me, you get an eye-opening take on your past and present and together, we will pave the way for that beautiful future I know you deserve. My job is to explore what’s needed to help you achieve your most important personal goals and dreams when it comes to your dating and love life. I mean that’s why you’re here right? With me supporting you on your journey, you’ll learn the foundation of what I know – how to attract successful relationships into your life and create meaningful connections. Sometimes we get to a point in our lives where we are just plain fed up and don’t know what we are doing wrong and what might be getting in our way of that real authentic love we see other’s experiencing; That’s where a Dating & Relationship Coach like myself comes in! About Me :Dating Coach for Women over 40, Author of 2 highly praised dating books, Blogger, YourTango Expert. I found love after 40 and reveal everything so you can too! Bio :Ronnie Ann Ryan woke up on a cold January morning for her 40th birthday and realized she might be single for the rest of her life. She thought she should get used to the idea since the situation wasn’t likely to change. four months later, she’d had enough and she decided to turn things around. After dating 30 men in 15 months, she met her husband Paul. Having successfully figured out the key to midlife dating, Ronnie wanted to help other women like her to find love too! That’s why she became a Dating Coach and founded It’s Never Too Late for Love. Her mission is to share her wisdom and proven dating advice with every single woman who has that strong desire and yearning to find love. Ronnie has been interviewed by BBC’s 5 Live Radio, Sally Jesse Raphael, NBC News, Fox News, and ABC’s Chronicle in Boston, NPR, Fox News Online Magazine, eHarmony, MSN.com, MORE.com, Connecticut Magazine as well as many other newspaper, magazine and web articles in the US, UK and Australia. She also performed a pre-show for the play “Bad Dates” at the Long Wharf Theatre. Ms. Ryan, MBA, CCC, is a Certified Coach, professional writer, speaker and workshop leader. 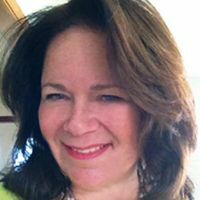 She has worked in Marketing as a consultant and writer for 20+ years with Fortune 500 companies, agencies, small businesses, and individuals to develop strategies, implement programs and write their copy. Ms. Ryan holds an MBA from Northeastern University, a BA from the University of Connecticut , was certified as a Coach (CCC) by Comprehensive Coaching University, and earned her coaching certificate from Coaches Training Institute. She spent seven years in marketing at General Foods (Kraft Foods) and has been consulting since 1990 for companies.